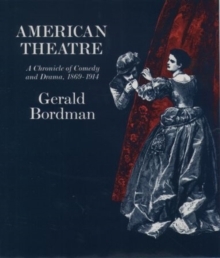 First published in 1984, Gerald Bordman's Oxford Companion to American Theatre is the standard one-volume source on our national theatre. Critics have hailed its "wealth of authoritative information" (Back Stage), its "fascinating picture of the volatile American stage" (The Guardian), and its "well-chosen, illuminating facts" (Newsday). 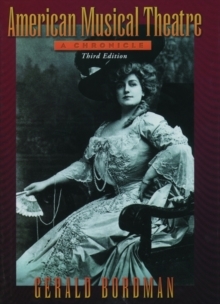 Now thoroughly revised, this distinguished volume once again provides an up-to-date guide to the American stage from its beginnings to the present. 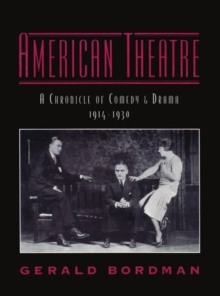 Completely updated by theater professor Thomas Hischak, the volume includes playwrights, plays, actors, directors, producers, songwriters, famous playhouses, dramatic movements, and much more. 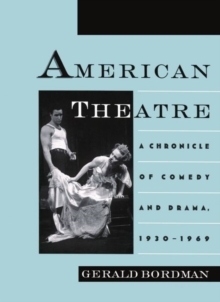 The book covers not only classic works (such as Death of a Salesman) but also many commercially successful plays (such as Getting Gertie'sGarter), plus entries on foreign figures that have influenced our dramatic development (from Shakespeare to Beckett and Pinter). 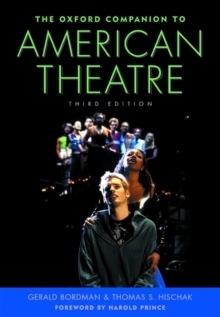 New entries include recent plays such as Angels in America and Six Degrees of Separation, performers such as Eric Bogosian and Bill Irwin, playwrights like David Henry Hwang and WendyWasserstein, and relevant developments and issues including AIDS in American theatre, theatrical producing by Disney, and the rise in solo performance. Accessible and authoritative, this valuable A-Z reference is ideal not only for students and scholars of theater, but everyone with a passion for the stage.